The AleaPriceShort solution generates hourly forecasts for the price of energy for France (EPEX Spot Day-ahead market), for the short term, with a 10 day horizon (from D+1 to D+10). The AleaPriceMid solution generates hourly forecasts for the price of energy for France (EPEX Spot Day-ahead market), for the mid term, with a 3 year horizon. The AleaPriceLong solution generates monthly forecasts for the price of energy for France (EPEX Spot Day-ahead market), for the long term, with a horizon of up to 10 years. The AleaPriceLong solution is flexible, in order to adapt to the criteria of your requirements. It includes the scenarios tools for fuels (Brent, Gas, Coal) and other variables used in price forecasting (CO2, exchange rates, demand, hydroelectric production, nuclear production, wind power production, etc) in order to obtain alternative price forecasting considering possible values of these variables. 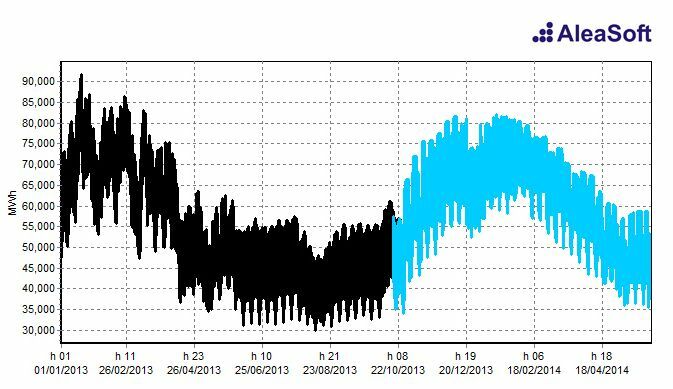 The AleaDemandShort solution generates hourly forecasts of the energy demand of France for the short term, with a 10 day horizon. The AleaDemandMid solution generates hourly forecasts of the energy demand of France for the mid term, with a 3 year horizon. 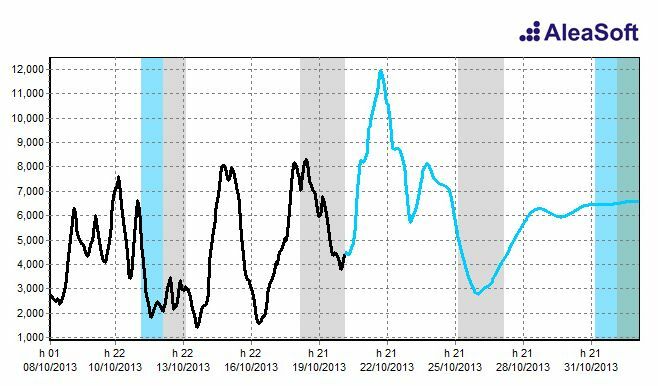 The AleaWind solution generates hourly forecasts of wind power production in France for the short term, with a 13 day horizon (from D to D+13). 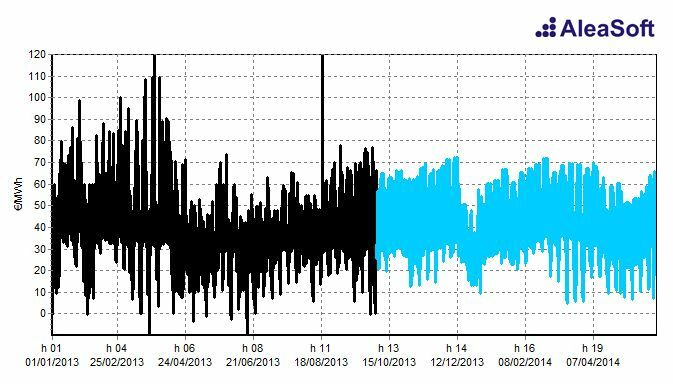 It also generates hourly forecasts of wind power production of wind farms.